A very clear speaking, fresh and fun voice that provides interest and creates happy feelings in listeners! A native to West Lothian with a soft and neutral Scottish accent ideal for commercials needing energy and sparkle. 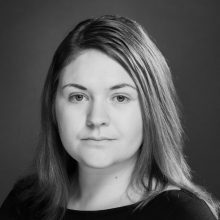 She has also provided her voice to some big brands including Scottish Rugby, where she is the voice of the IVR telephone system.